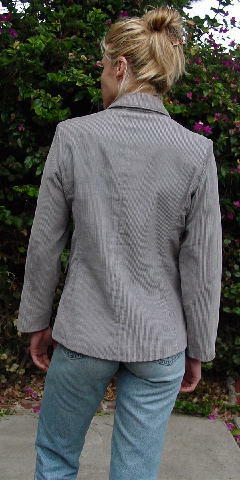 This vintage warm gray corduroy jacket is 100% cotton and has a 100% light gray nylon lining. 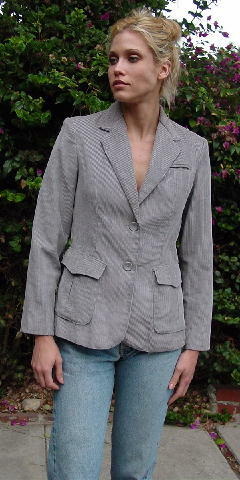 It has shoulder pads, a 2-button front closing, a breast pocket, and 2 roomy lower pockets with 1-buton flaps. The tag says 11/12, but it fits like a small. 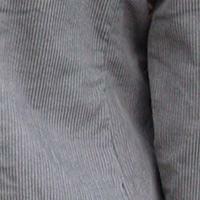 A model bought it in New York and wore it there. Wear it with pants, skirts, or jeans. shoulder to end of sleeve 23 3/8"